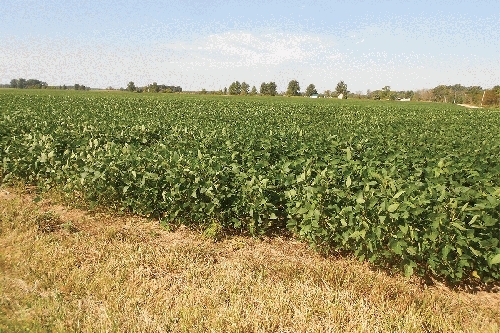 WARREN, Indiana (March 2, 2016) — Approximately 462 acres of productive Indiana farmland in Grant County, Indiana, will be offered at auction Tuesday, March 22, with Schrader Real Estate and Auction Company marketing the land and conducting the event. The land, which has county drainage outlets and extensive private tiling, is located approximately 40 miles south of Fort Wayne and 15 miles from Marion. “This land, most of which is tillable, has been investor-owned and is suitable for either investors or local operators,” said R.D. Schrader, president of the auction company. “We’re offering the land in tracts ranging from approximately 39 acres to 90.5 acres, so bidders may make offers on any combination of tracts or the entirety. This puts those seeking smaller amounts of land on an equal footing with bidders who may be seeking all of it,” he said. The tracts are located primarily along N 1000 E and E 400 N, approximately one mile east of Van Buren. Schrader personnel will be available at the property from 9 a.m. to noon Saturday, March 12, to accommodate inspections and provide detailed information. The auction will begin at 10 a.m. Tuesday, March 22 at the Knight-Bergman Center, 132 Nancy Street, Warren. Online bidding will be available for those who register a week in advance. Individuals seeking additional information may call 800-451-2709 or visit www.schraderauction.com.